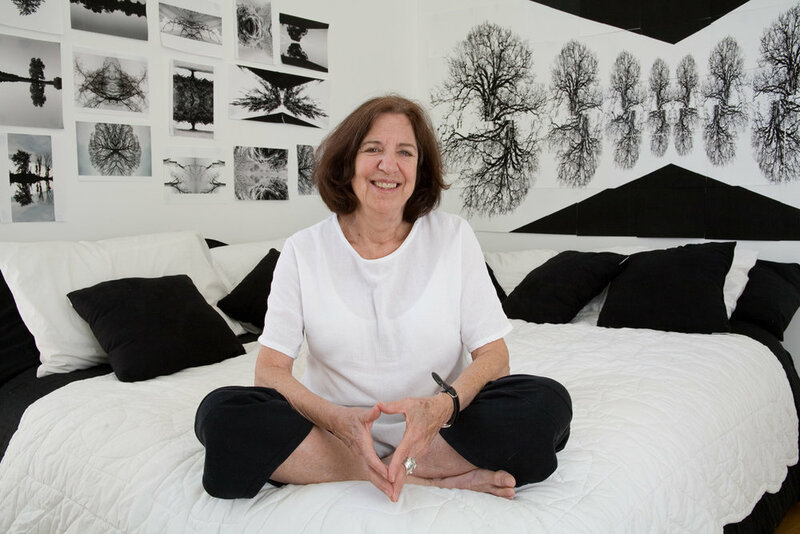 "There has been many highlights in my art life; showing in museums and galleries, but certainly having the idea to start a Woman's Gallery with my friend Barbara Zucker, turned out to be one of the better ones as A.I.R. has had such a wonderful ongoing story." Sue William's paintings address the human condition as it is unevenly experienced in a world of systematic and misogynistic violence. Williams moved to New York from Chicago in 1981 and forged a feminist and activist mode of painting. Through explicit, cartoonish imagery and black humor, her early paintings targeted ignominious sexual and violent behavior. Toward the end of the 1990s, Williams shifted to a more abstract, lyrical style and allover treatment of the canvas yet retained and incisive critique of political and social relations. In more recent works, Williams' earlier recognizable forms are abstracted into a dense web of sphincters, viscera, eyeballs, and spewing orifices, rendering the body's relationship to other forms of control and excess both more or less overt.